Quite the opposite – because it is a renewable resource, bamboo is an affordable option and generally a lot cheaper than solid hardwoods. If you compare the life cycles, wood can take over 100 years to fully mature whereas bamboo takes just 4-5 years. For this reason, bamboo flooring is often priced considerably lower than hardwood. One of the most widely-held beliefs is that bamboo is a soft flooring material and not strong enough to last. 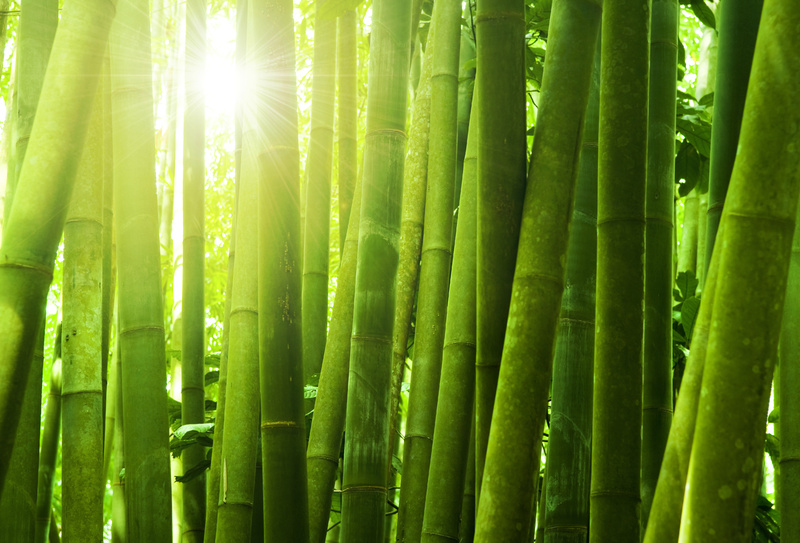 Despite being made from grass, bamboo is actually harder than many traditional hardwoods. According to the Janka Scale which ranks floors in terms of durability, the majority of bamboo is tougher than oak flooring. Certain types of bamboo are even rated higher than exotic woods, proving their endurance and strength. Certainly not true – if there is a colour available in hardwood, chances are it is also available in bamboo. Due to popular demand, manufacturers began developing bamboo in a variety of shades to give homeowners a wider choice, encouraging them to consider bamboo in their home. Whether you are looking for a satin white, golden brown or a dark espresso, Getfloors have a diverse range of colours for you to choose from. After debunking the myth about bamboo not being durable, this one is certainly a false statement. Presuming you take care of your bamboo floor and maintain it correctly, it can actually last for 100+ years. For most floors, scratch-resistance will depend on the finish. If a bamboo floor is coated with a decent finish, it is much more likely to stand up to scrapes and grazes. Chances are, bamboo will never need to be re-finished it is a material that is naturally resistant to dents and scratches. Similar to hardwoods, bamboo planks will slightly expand and contract depending on the humidity within the home. In most parts of Australia, it is important to find a floor that can withstand high temperatures and humidity and bamboo should not be ruled out. To prevent the planks from adjusting, simply allow the bamboo to acclimate for 7-10 days before installing. Hopefully any concerns you had about bamboo flooring have now been resolved and you can start a worry-free search for that new floor you’ve been dreaming of. You can check out Getfloors range of bamboo flooring here or contact us for advice.